From the beginning of the situation in Ferguson, news reports alerted the public that Michael Brown was to start college soon. Before surveillance videos and photographs of protestors with their hands up were available, people saw a stoic Brown in a bright orange, probably acetate graduation gown. He will not have a first day ever again. And for the children of Ferguson, who have yet to have their first day, they may remember the smell of death, the odor of tear gas, the stench of an American tragedy. In this kind of situation, people all say, what can I do? I have few talents in a crisis, but I do know I’m pretty good at teaching, and I knew Ferguson would be a challenge for teachers: When schools opened across the country, how were they going to talk about what happened? My idea was simple, but has resonated across the country: Reach out to the educators who use Twitter. Ask them to commit to talking about Ferguson on the first day of classes. Suggest a book, an article, a film, a song, a piece of artwork, or an assignment that speaks to some aspect of Ferguson. Use the hashtag: #FergusonSyllabus. From a children’s book about living with someone with PTSD to maps of St. Louis’s school-desegregation struggles to J. Cole’s “Be Free,” the Ferguson archive was tweeted, re-tweeted, mentioned, and favorited thousands of times. A small community has formed; the fabric of this group is woven across disciplines and cultural climates. Some of us will talk about Ferguson forcefully, others gingerly, but from preschool classrooms to postdoctoral seminars, Ferguson is on the syllabus. Since then, we have seen the #CharlestonSyllabus, the #lemonadesyllabus, the #OrlandoSyllabus, the #BrexitSyllabus, and the #BlackLivesCDNSyllabus and I’m sure there have been others that have been circulating but have done so outside of my own social media circle. These syllabi are the collective efforts of many people who are sharing and recommending works of fiction, poetry, non-fiction articles and book-length works, as well as scholarly articles and theses. They are doing so in the pursuit of a richer, more complex, and more nuanced understanding of each other and the issues we face both alone and together. 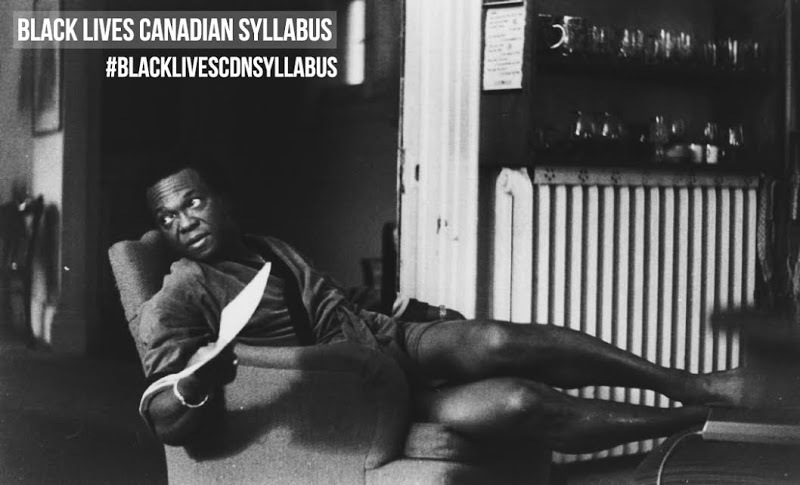 While most of these syllabi collected their recommended readings through Twitter, each eventually needed to captured and collect the recommendations into a more static document. This is necessary for a number of reasons with the primary one being that tweets are difficult to bulk-retrieve from Twitter over time. There is also the not-consequential problem of trolls using the designated syllabi hashtags to insert their own agitating counter-messages. texts not online are given a full citation but no link e.g. Moore, Mignon R. Invisible Families: Gay Identities, Relationships, and Motherhood among Black Women. University of California Press, 2011. I’ve long wondered why many of my peers in librarianship seem markedly less enthusiastic than I am about citation managers like Zotero, standards such as COinS, and software like OpenURL resolvers that connect the library collections to non-library services like Google Scholar. I tried to make the case for the importance of this suite of technologies last September as part of the Access 2015 Conference in Toronto when I gave a presentation called Library of Cards. I started my session with a brief history lesson to remind us the library catalogue and the bibliography share the common ancestor of the humble index card. In second part of my three-part talk, I sung the praises of Zotero and explained how it uses standards such COinS to connect the scholar to the library and beyond. And then I speculated that present-day card UX designs in platforms such as Twitter suggest that a new digital model of the 3″ by 5″ index card was possible. We still don’t have an easy way to share citations online. This is apparent when one sees all the human labour still needed to create a formal bibliography from a collection of tweeted citations. And I also know this first-hand because on and off over the last several weeks I’ve been working on a project to collect the books recommendations from #BlackLivesCDNSyllabus into a bibliography that can used by my library as well as re-purposed by other libraries. I will describe this work in Part Two.